The INPEX-operated Ichthys LNG Project is more than your average gas project. 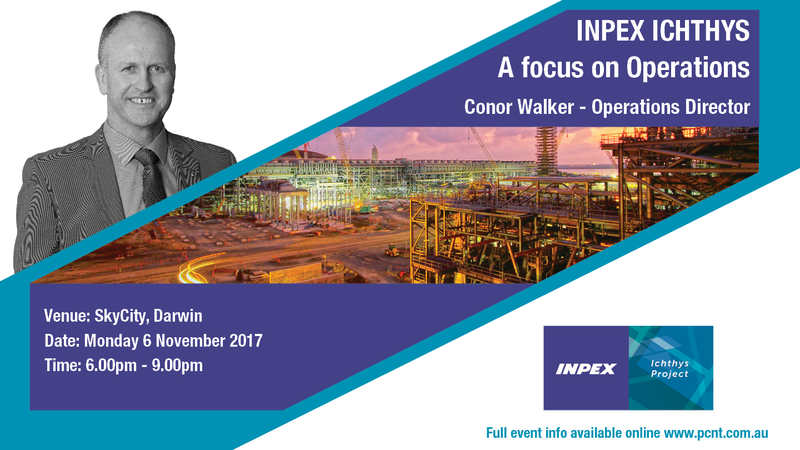 Conor Walker, INPEX Director of Operations, will provide an overview of this massive and complex Project, outlining how the closely integrated onshore and offshore facilities are simultaneously being developed and commissioned. With a special focus on the operations aspects of the Project at Bladin Point, Conor will provide an update as to the Project’s status; he’ll outline what the key priorities are now and into the foreseeable future; and he’ll map out what’s required to bring all the facilities online safely and reliably, in readiness for first gas in 2018. The Ichthys LNG Project is currently in construction and is ranked among the most significant oil and gas projects in the world. The Ichthys LNG Project is a Joint Venture between INPEX group companies (the Operator), major partner Total, CPC Corporation Taiwan and the Australian subsidiaries of Tokyo Gas, Osaka Gas, Kansai Electric Power, JERA and Toho Gas.